Of course, you already know about Bali right?. This island has many many tourists attractions. They spread all around the island. But this time, we focusing on the attractions near the one of famous temples in Bali, Uluwatu Temple. 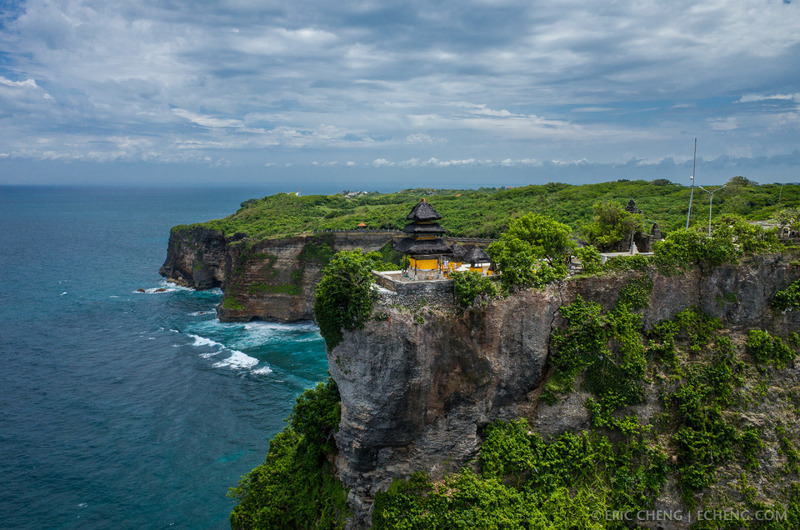 Uluwatu Temple Bali, has the status as Sad Kahyangan Jagat Temple or buffer wind shaft of Bali island. However, the location of the temple is on a rocky cliff with an altitude about 97 meters above sea level. Also because the location of the temple is on the cliffs of the rock, the temple is named Uluwatu, which in Sanskrit means the peak of the rock. Due to the location, the tourists who come to visit not only can enjoy a sacred and religious atmosphere, but also beautiful and unique scenery. Unlike the scenery in the tourist attraction Tanah Lot temple, tourists who travel to the temple of Luhur Uluwatu will witness the vast expanse of Indian Ocean. Added with the waves that hit the cliff. In addition, tourists can also enjoy the beautiful views of the sunset without any obstacles that block the view of the sunset. The first things to do near Uluwatu Temple, Bali Indonesia is Suluban Beach. This place is only about 3km from the temple. Plus, its pretty easy to reach it. Suluban or Blue Point Beach is a beach with steep cliffs and large waves. Blue Point Beach is more suitable for a place to do surfing. Therefore, if you go holiday to the Blue Point beach, you will see more foreign tourists than domestic tourists. How about a holiday with the kids to Suluban beach?. Actually, this beach is more suitable to teenagers or adults to play surfing. But for children its less suitable, because there are a lot of rocks and also big waves. So you must be extra careful if you bringing your kids in this beach. Also, in this beach you can also find The Cave. At a glance, Suluban Cave looks like setting of place in the movie Pirates of the Caribbean. Its unique and exotic structure presents a mysterious and mystical impression. 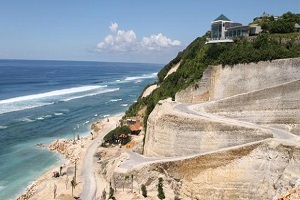 However, the location is just below Uluwatu. Finally, this cave will take you to the beach near Uluwatu Temple, one of the marvelous sea temples that you must visit ! If you are one of the people who want privacy, comfort and tranquility in Bali beach tourism, then Nyang Nyang Bali beach is one of the hidden beach that will worth your visit. 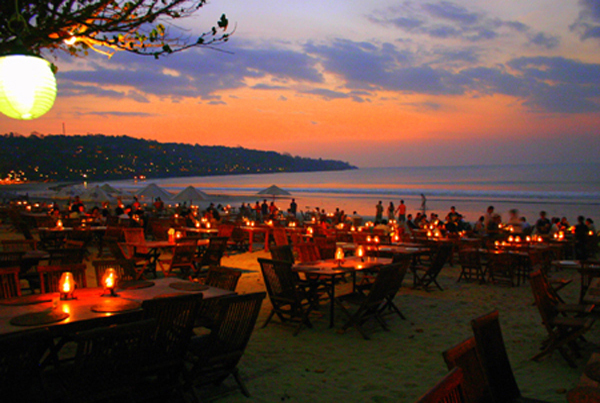 Surely, many advantages that you will get if vacationing in one of the beautiful beaches and also hidden in Bali. You will get such as comfort, privacy and natural scenery which is still natural.If there is a surplus there must be a shortage. Because of its hidden location and inadequate road access, make you need a lilttle hard effort to reach the beach of Nyang Nyang Bali. Activities that you can do on the Nyang Nyang Beach Uluwatu is of course, surfing. But you can also swim or just sit back while watching the ocean view with the waves. Also you can walk on the white sand with slightly rough texture. Pretty good, isn’t it? 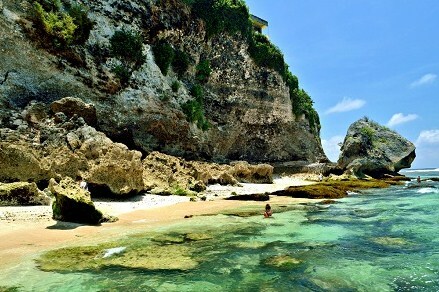 The next things to do near Uluwatu Temple, Bali Indonesia is Nyang Nyang Beach. Actually, this beach among local people is more familiarly called with the name of Bali Cliff beach. Because on the cliff there is a hotel called Bali Cliff. There is also people called it with the name of Hidden Beach Ungasan, because the location and its existence is still hidden or not known as other beaches in Bali. Then why is it now called the Green Bowl beach?. Of course, this is a question for you who have never been to this beach. The word “Green Bowl” means green bowl in Indonesian. Bowl that has green color. Why? Because at the time of coastal water receded then the corals do something magical. The corals that overgrown with green moss will form a bowl. When viewed from the top of the cliff, the form is exactly the form of a green bowl. Because of that uniqueness, this is one of the perfect beaches that you must visit. One of Bali’s latest coastal tourist destinations which is currently in the process of construction, is Melasti Ungasan beach. Although still under construction, you can still visit it. 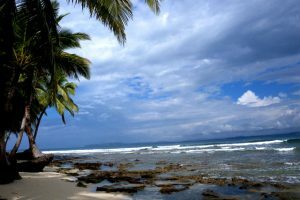 However, the main attraction of Melasti Beach Ungasan lies in the access road to the beach location. You must pass a tortuous derivative path that sits on a cliff of white limestone. Access road to the location of the beach is flanked by white cliffs. Its just like coral cliffs on the road to the beach Pandawa Kutuh Bali. Currently, the road to the location of Melasti Beach Ungasan above the white limestone hill is already on the asphalt, so it can be easily bypassed the car. Arriving at the beach, you will be very easy to find a car park. Because the parking area of ​​the vehicle is quite wide. For now, the tourists who visit Melasti beach in Ungasan are not so many yet. Well, if you like a holiday to the clean white sand beach and not many visitors, this is the best time to go to the Melasti. Because if the construction of means of infrastructure has been completed, Melasti Beach will definitely be crowded with tourist visits. Finally, the beach itself entered in the list of good beaches in Bali. So you must check it out! One of wonderful beaches in Bali. This beach faces north, its actually just a few kilometers from Dreamland beach. You can see Ngurah Rai airport activity from a distance, if you stand on the beach. The view of the fishermen on the beach Kedonganan, when loading and unloading fish catch in the morning, you can also see it from here. In addition of seeing the airport scenery, you can also see the beauty of the Dreamland beach itself if you are standing on the beach cliff. In addition to the charm of undamaged coastal beauty, Balangan also become a favorite location for the world-class surfers. This is supported by its high, long, and large waves. This beach is perfect for surfers who like a challenge. Surfers are very comfortable in here from morning to evening, conquering the waves with their surf boards. Especially surfers from Australia who have often come to Bali. So, are you ready to challenge the waves? better you say yes because the waves will eat you alive. Be careful ! Location of Tegal Wangi Jimbaran beach is in Jimbaran village area. Precisely the road to Ayana Resort hotel. Follow the guide to the direction of Tegal Wangi Temple, and you will see a beach right in front of the temple. However, in this place you can see a high cliff panorama with green trees on it. The tress is actually on the edge of the cliff, just before entering the beach of Tegal Wangi. Hotel Ayana Resort and the Rock Bar is also visible from this place. In addition, you can see the waves witha clear water, plus the white sand with a little rough but comfortable. If you want to see the sunset without many people around you, Tegal Wangi beach is the place. Really beautiful place indeed. Wow, this one is very famous beach. Why? Because many actor or actress used this place for their project. For example, one of the music group Michel Learn To Rock chose this place for the set of one of their music videos. Plus Hollywood actress Julia Robets, who starred in the movie Eat Pray Love, also took one scene on this beach. This makes the Padang Padang beach becomes more famous in foreign countries. Especially for those who like to surf, then this beach is perfect for you to visit. However, late in the afternoon, many locals also come to visit. Especially young children who just walk around the beach with occasional “photo sessions”. The cool beach air, the clear blue sky, and the crystal-clear waters of the sea, are very supportive for those who want to take pre wedding photos with a beach backdrop. Indeed, Padang-Padang Beach is a stunning beach, come visit it !. Beside visiting those beach mentioned above, you can also visit these amazing place. 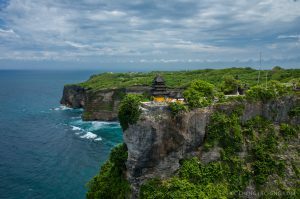 Check it out all the things to do near Uluwatu Temple, Bali Indonesia! Now you can have a perfume with an incomparable scent and truly unique. 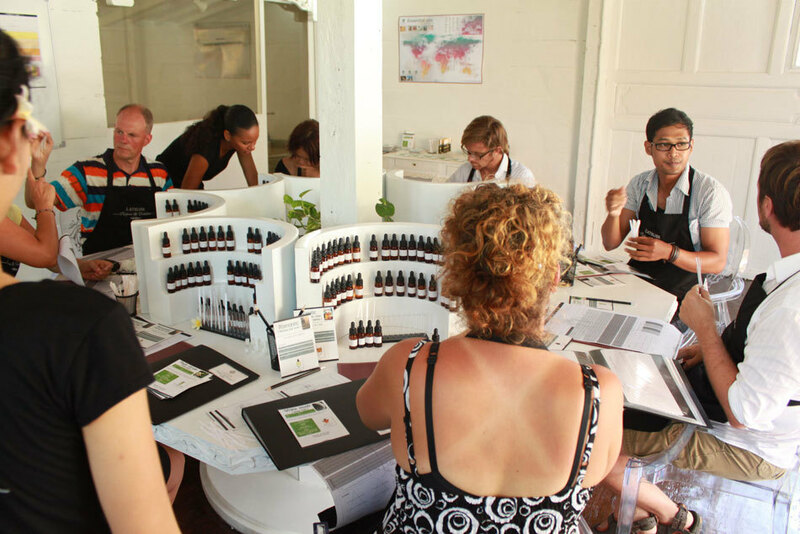 Join the 90 minute or 3 hour workshop at L’Atelier Parfums et Creations to add knowledge and learn the art of perfume. Coming home from here you will be no less great than the designers of perfume, guaranteed. 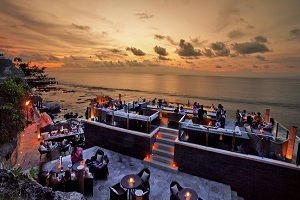 However, this place is located at AYANA Resort and Spa, the same location where Rock Bar is. No need to worry about the cost, because you can follow the class with the budget from USD80 (90 minutes) or USD125 (three hours). With that price, you can get all the experiences in the world of perfume. Great, isn’t it? 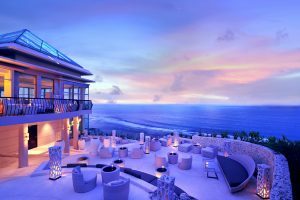 Ju-Ma-Na in Banyan Tree Ungasan is a place that blends the fine-dining concept with an extraordinary panorama of the sunset. Standing at an altitude of 70 meters with a glass wall that can displays views in all directions. Ju-Ma-Na has minimalist design and has white dominant colour, which impressing the luxury. The presentation of the food served by Ju-Ma-Na itself is a masterpiece of its own with a blend of French-Japanese menu and not to mention the dish of East and West dishes. In addition to food, at Ju-Ma-Na you will also find a variety of delicious drinks, such as Ju-Ma-Na Royale which is a champagne blended with Yuzu juice (a type of Japanese orange) and served with a rose petals decoration. What a perfect place to enjoy your beautiful evening. In the daytime, this place is quiet and relaxing. Because of the people enjoy walking around, seeing Uluwatu and watch the action of the great surfers on the beach beneath it. It was only late in the evening that this place would be more lively because the surfers started and other visitors started to arrive. The best time to visit this place? Sunday night, because that’s when they hold a weekly routine party with live music performances as well as DJs. The menu is quite simple (think pizza, tacos and a bottle of Cold Star Beer), but the scenery off towards the Indian Ocean is something that should not be missed. If you the kind of person who enjoy the night life, this is a truly amazing place for you. Bay Restaurant (also known as the Red Onion Beachfront Restaurant) is a restaurant where you can enjoy a variety of tempting dishes while breathing in the distinctive air of the sea. As soon as the sun set, the dining tables here will be lit by candlelight and dinner is ready to serve. Do not forget to try the various fresh shells. The taste will be more delicious if eaten while watching the sunset. What a perfect place to make your eyes and stomach happy. To reach this very hits bar location, you have to get the cable car. Unimaginable? 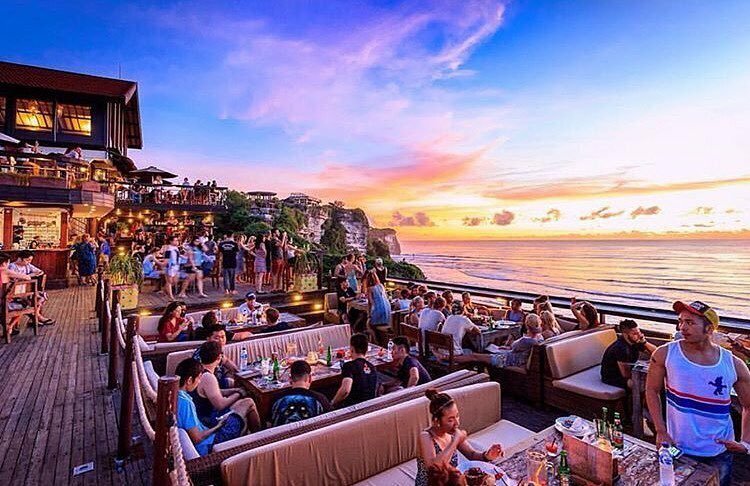 Well, the location of this bar is on the bottom side of the cliff, on a rock with a height of only 14 meters above the sea level of the Indian Ocean. No wonder why this place is so popular, because the location is so unique plus the view of the sunset is very charming. Do not forget to order a cocktail blend made by reliable bartenders, to accompany you to watch the sun set on the horizon and that’s it, a heaven to relax. Uluwatu or Luhur Uluwatu Temple is about 27 km from Kuta and can be reached by driving for 40 minutes. However, Uluwatu area is a coastal area with a very high vertical cliff, the view from the cliff is very beautiful and spectacular, so many tourists like it. The entry ticket to enter this place is very cheap. With only 20.000 rupiahs for adults, and also 15.000 for children you can get all the experiences to explore this temple. Best time to check it is 4 pm, perfect time to watch the show in the temple and after that, you can also take a look at that beautiful sun set. That’s it, several the attractions near Uluwatu Temple, Bali Indonesia. Actually, there’s more thing you can explore, and i want you to find it yourself, and make a great experience of it, careful not to get lost though. Make a very nice memory of it, and please keep the environment clean, to make the beauty of those places still maintained. Enjoy your holiday, have a great day!